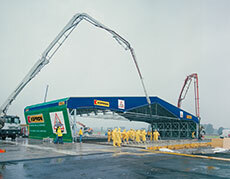 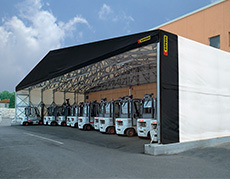 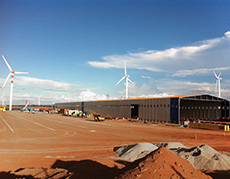 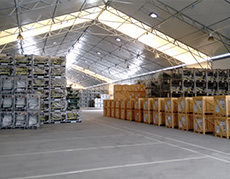 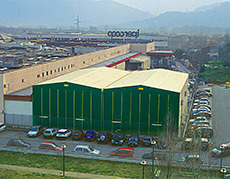 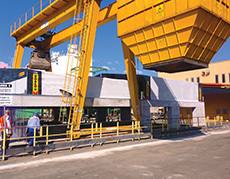 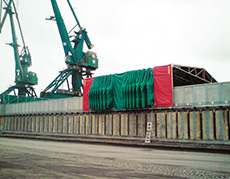 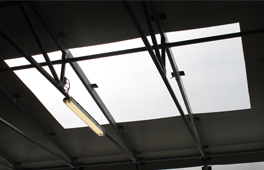 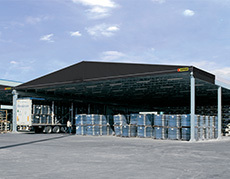 The Kopron connecting warehouses, commonly known as canopies, are installed in between two main entrances of overlooking buildings, even if they are at quite a distant, and connect them. 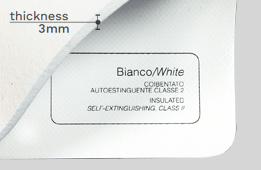 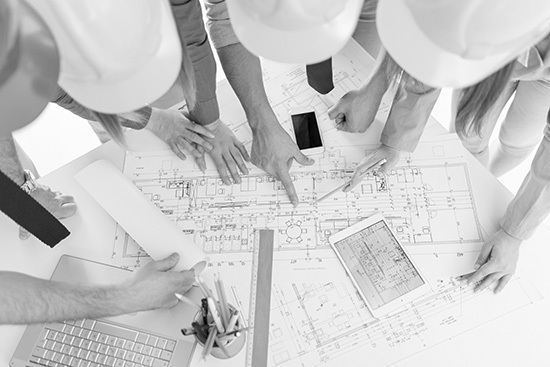 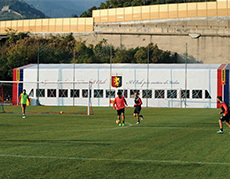 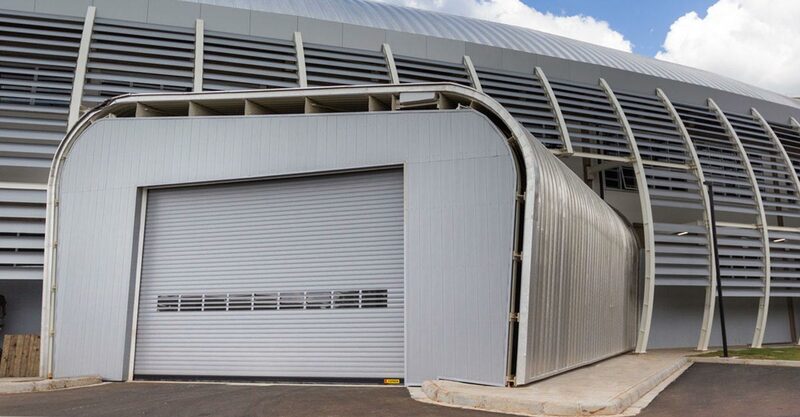 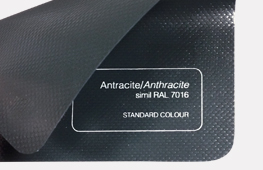 Apart from offering total protection from the rain, they create a totally accessible tunnel in between two connected doors, so as to maintain the temperature of the departments at the fixed comfort levels. 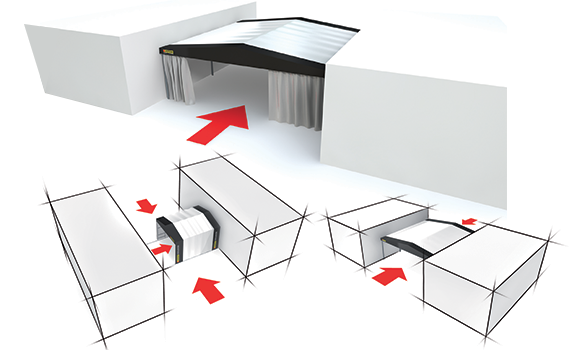 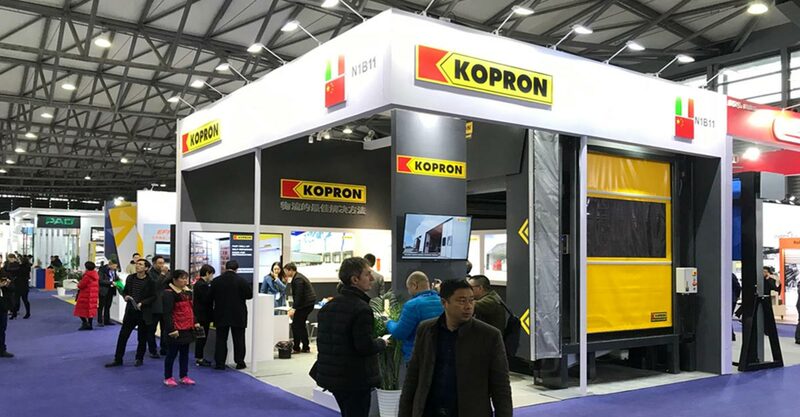 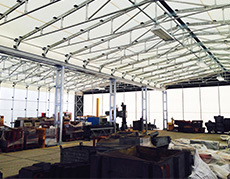 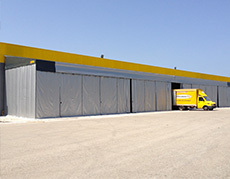 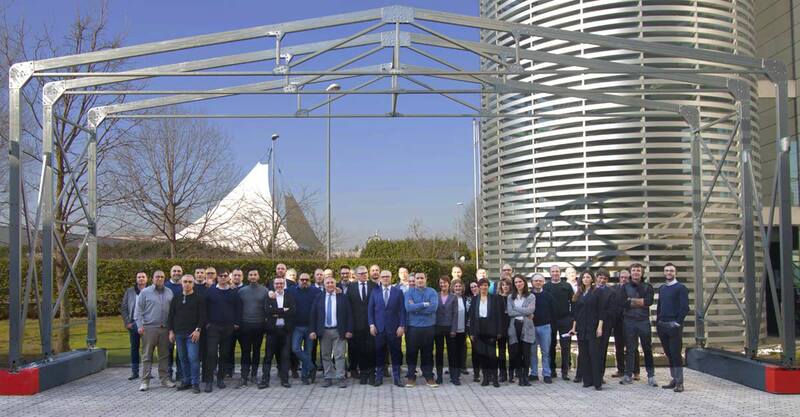 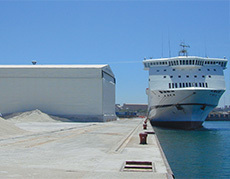 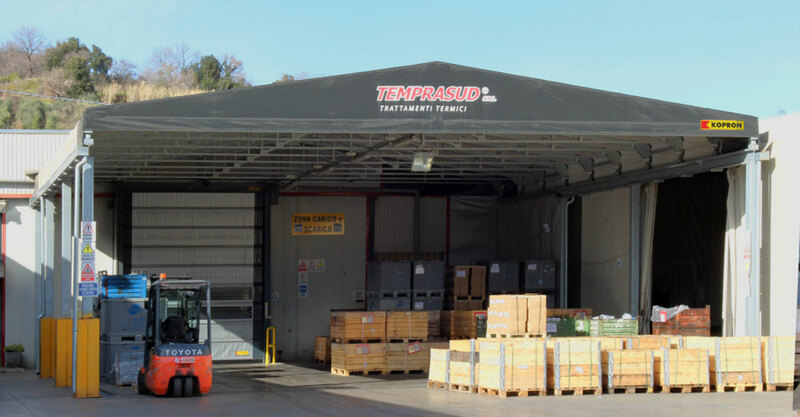 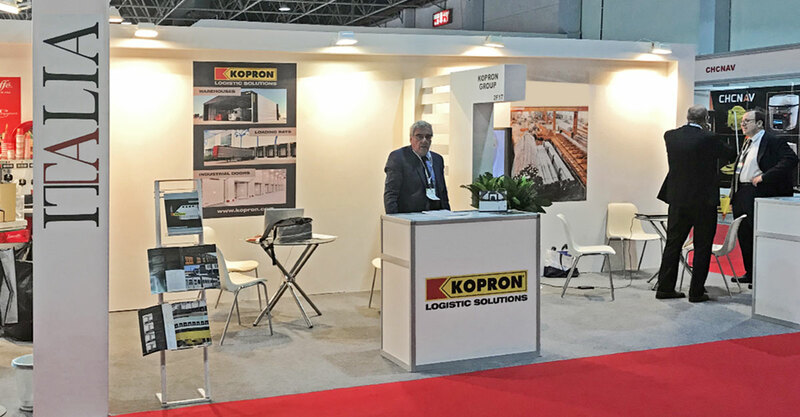 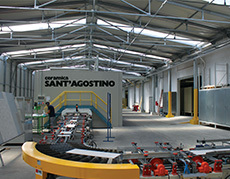 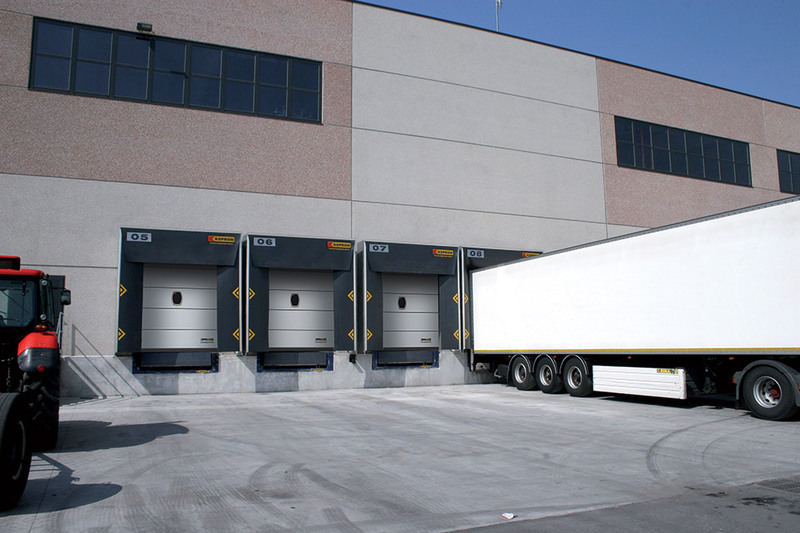 If necessary, the warehouse can be retracted against the walls of the building and therefore be mobile from the centre towards the sides or from one building to another, thanks to the typical assembly on wheels that characterises all of the Kopron structures.